Wandering off, also called elopement, is an occurrence that never should happen in a nursing home. But, when a facility is understaffed and residents have many needs, it occurs all too often. At Solomon & Relihan, we take action. 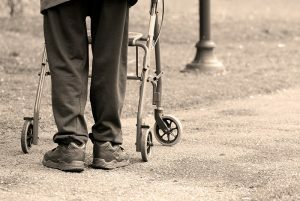 Our law firm handles negligence cases against nursing homes that fail the people they are required to protect. Solomon & Relihan was the first law firm in Arizona to protect the rights of the elderly by winning a nursing home punitive damage case. We use our extensive experience and courtroom skills to achieve the best possible results for injury victims. Wandering off happens for many reasons in nursing homesâ€”none of them acceptable. Facilities are often insufficiently staffed for the level of care their residents require, which can lead to inadequate supervision. When improper supervision is combined with broken door alarms or unmonitored exits, confused and vulnerable residents are at risk.